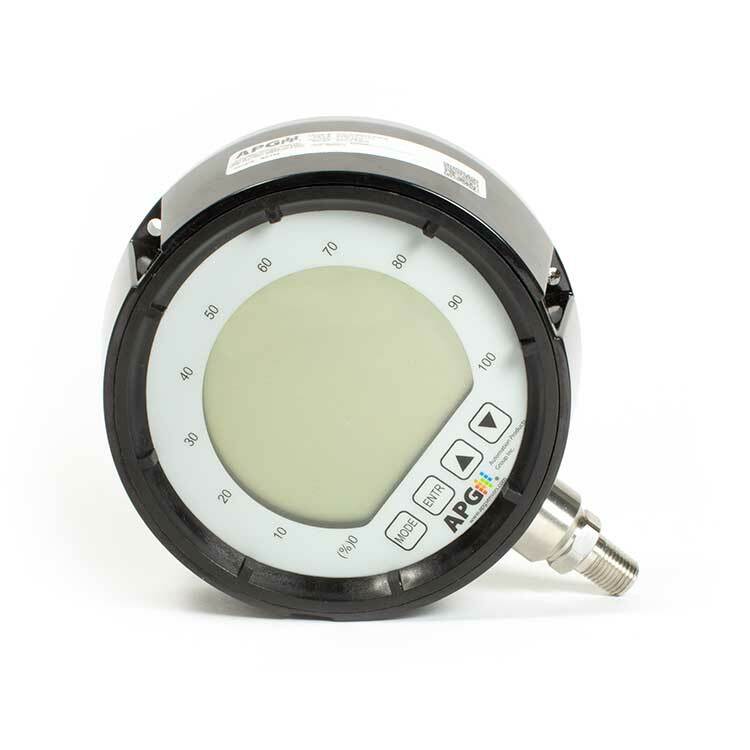 The PG10 is our additional feature gauge with a large, 5-digit display, 270° radial bar, datalogging, and optional solid-state or SPDT mechanical relays. With a large display and a 270° radial bar graph, the Series PG10 IP65 Digital Pressure Gauge with 5.5" Display is our most full-featured gauge with the longest battery life. With a large, 5-digit display, 0.68 in. 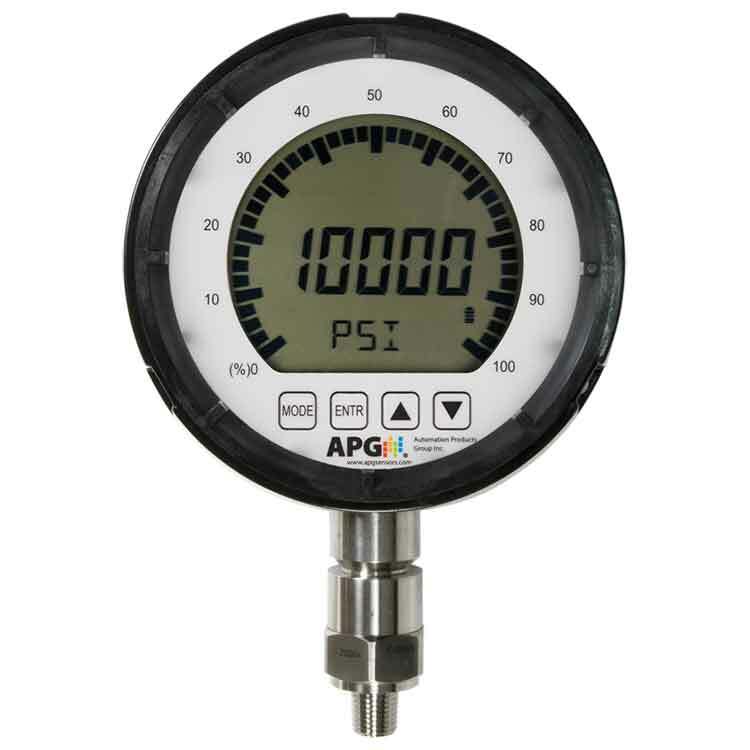 characters, and a 270° radial bar graph, the series PG10 pressure gauges give you true at-a-glance readability. 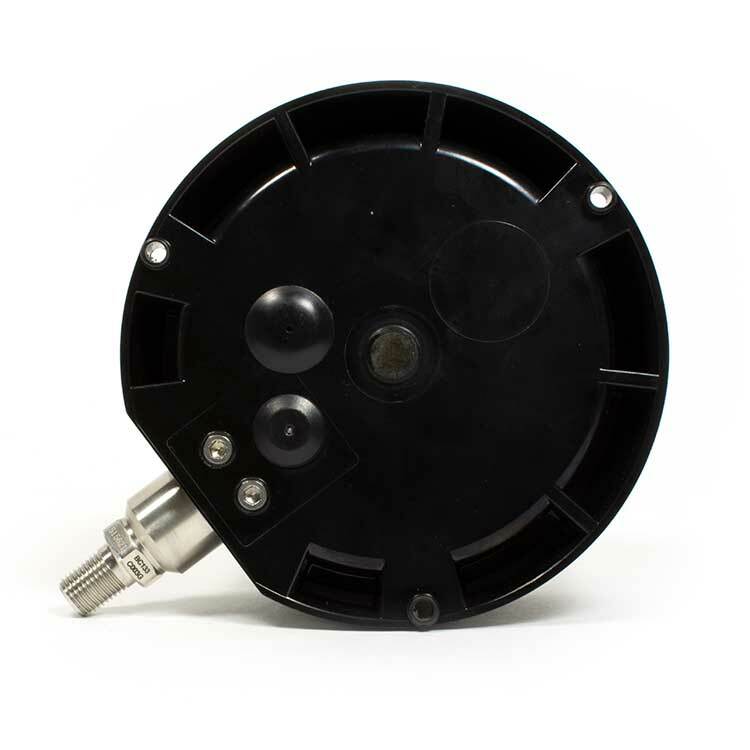 Unlike cheap dial gauges, digital pressure gauges eliminate the guesswork with high accuracy and resolution for exact measurements you can trust. 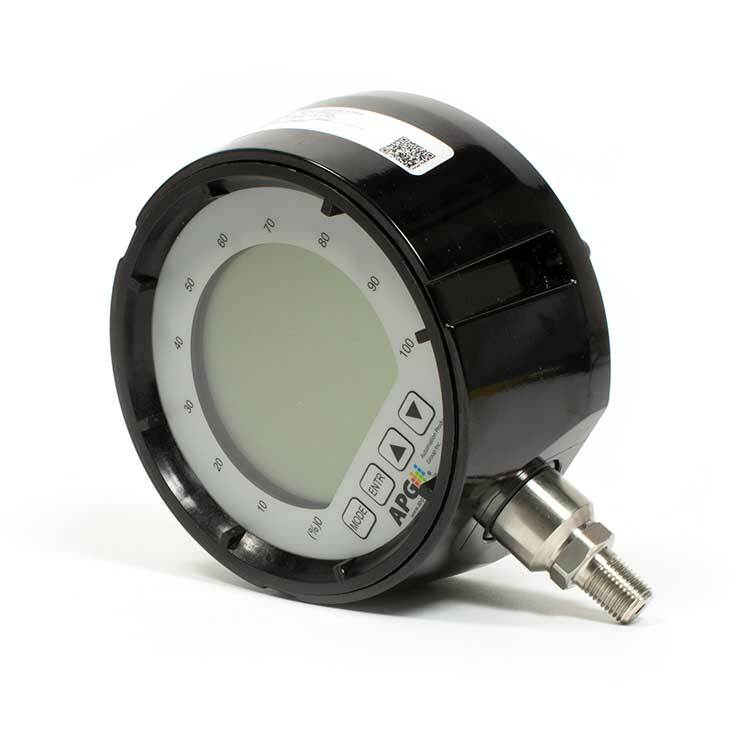 When purchasing your series PG10 IP65 digital pressure gauge, or any other pressure transmitter, ask for a NIST certificate for the standard 0.25% accuracy, or for 0.1% accuracy. We can also provide NIST certificates for your regular factory re-calibration. Remember to have your pressure gauge sent in for a factory re-calibration to maintain reliable performance.